David Gilmour has announced that he’ll display then auction more than 120 guitars from his personal collection later this year. The focus on the former Pink Floyd vocalist and guitarist’s collection will be on his Fender models, including Telecasters, Stratocasters, Broadcasters and Esquires. Among the instruments up for grabs will be Gilmour’s 1969 Black Stratocaster which he played on albums including The Dark Side Of The Moon, Wish You Were Here, Animals and The Wall. It’s estimated to sell between $100,000-$150,000. 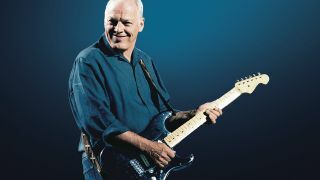 Gilmour says: “These guitars have been very good to me and many of them have gifted me pieces of music over the years. They have paid for themselves many times over, but it’s now time that they moved on. All proceeds from the sale of the collection will go towards charitable causes, with estimates for the items starting from $300. Gilmour adds: “By auctioning these guitars I hope that I can give some help where it is really needed and through my charitable foundation do some good in this world. A tour of the instruments will launch at Christie’s in King Street, London, between March 27-31, where music fans will be able to see the full collection. Christie’s musical instruments specialist Kerry Keane says: “For the last half century, David Gilmour’s guitar work has become part of the soundtrack in our collected popular culture. “His solos, both lyrical and layered with colour, are immediately identifiable to critics and pop music fans as readily as the brushstrokes of Monet’s water lilies are to art historians. Flick through a selection of some of the highlights from the collection below.